With the development of digital technologies and social media networks – such as Facebook – in the last decade, it is now possible for activists and unions to communicate to a much wider audience and at greater speed than ever before. This means that they now have access to a much bigger platform on which to conduct campaigns, not only locally and nationally but also to a global audience. The development of the Internet and platforms based on it, such as Facebook, Twitter or YouTube, has given us opportunity to do all campaign activities more efficiently and effectively to the biggest possible audience. Although the Internet penetration is low in South Asia compared to some developed regions, the number of Internet users in the region is huge. India has second largest Facebook users with 112 million active users. The number of daily active users from India is 52 million, second only to the US. In Nepal and Sri Lanka, Facebook is immensely popular with number of Facebook accounts from these countries surpassing the total Internet population. According to the Internet World Stats, the Internet penetration in South Asian nations is still low: Afghanistan (12.3%), Bangladesh (26.4%), Bhutan (34.4%), India (28.3%), the Maldives (49.3%), Nepal (15.4%), Pakistan (14.6) and Sri Lanka (25.8%). Despite the low penetration, India, Bangladesh and Pakistan are among the top 10 nations in Asia region with largest Internet users. Activism and campaigns, both offline and online, are essential to fight for and defend the media’s right to freely access and publish information without fear of being punished or threatened. While some campaigns aim to influence policy making; others aim to get political action on issues such as journalist safety and impunity; to expose injustices; or to motivate other colleagues into action by encouraging them to strengthen their commitment to a cause. In short, they are a critical tool in building and strengthening unions and defending the principles of freedom of expression that underpin democracy. In an increasingly digital world, every journalist needs the skills and knowledge reach out and connect, not only in their local media network but also with colleagues and supporters both regionally and internationally. With that context, the IFJ Asia Pacific, under the UNDEF South Asia Media Freedom for Democracy Project 2014-16, conducted the Digital Campaign Skills (DCS) workshops in Sri Lanka, India, Nepal, Bangladesh and Afghanistan in 2015. The two-day workshops focused on use of internet-based technologies and social media platforms in the campaigning. Following the workshops, the participant affiliates were invited to submit a proposal to run a digital campaign on the national issue. The IFJ Asia Pacific provided small grants to the Free Media Movement (FMM), Sri Lanka, the Nepal Press Union (NPU) and National Union of Journalists (India) for the digital campaigns. 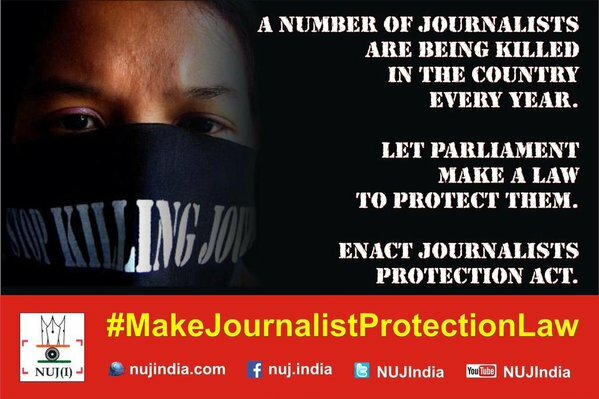 The NUJI ran a #MakeJournalistProtectionLaw campaign in November and December, 2015 demanding the enactment of the Journalist Protection Act. After a vigorous digital campaign to raise public awareness around the state of safety of journalists with loads of sharing on social media platforms, a large demonstration was held in front of the parliament in New Delhi on December 7, 2015, as the cumulative activity. The demonstration was well covered in the mainstream media and generated positive discussions on social media. The NPU ran a digital campaign in November and December, 2015 on the issue of safety of journalists with very specific objectives. Instead of trying to solve the whole problem of safety, NPU set out objectives to inform the public about critical need for building a safe environment for journalists and create awareness among journalists to be self-aware on remaining safe and vigilant. NPU created three graphics, created a video with interviews with senior journalists and put together a brief set of safety guidelines in Nepali and English on its website. All these were promoted in social media using the #JournalistSafety hashtag. 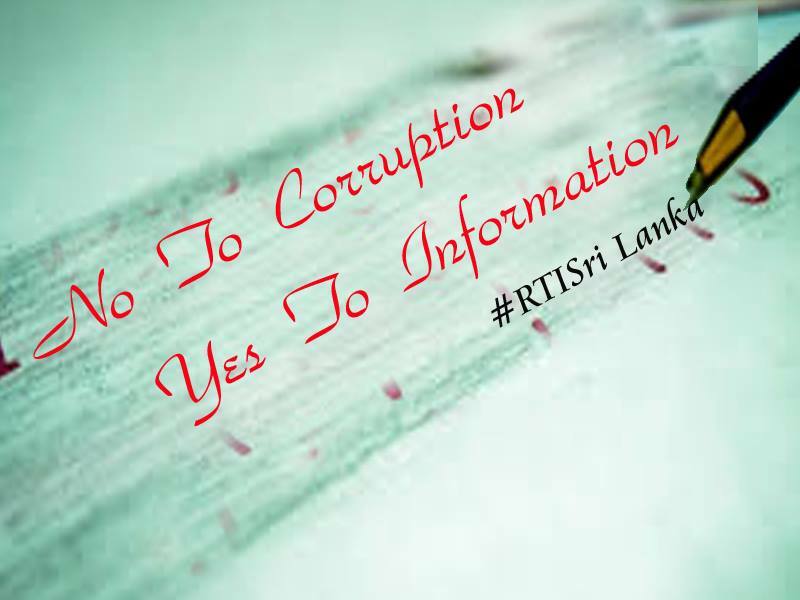 The Free Media Movement Sri Lanka ran a digital campaign to push for a Right to Information Act to be enacted in the country in December, 2015 and January, 2016. Part of FMM’s objective was that the RTI bill was being drafted and it wanted to seize the opportunity to create awareness on the need of RTI and press for its early enactment. To make the campaign more effective, FMM decided to include other pressing issues of media freedom and created hashtags around them. The campaign used hashtags: #RTISriLanka #ImpunityKillsHumanity #FE4All and #Media4Equality. The FMM posted daily on their Facebook Page and Twitter – alternating #RTISriLanka and one of other hashtags along with information, graphics and videos of journalists talking about why the issue needs to be addressed. For more information, please visit FMM’s Facebook page.